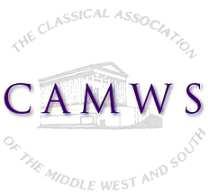 Each year there are vacancies on CAMWS committees and subcommittees. These positions are filled by the incoming President, typically in May or June, for the next academic year. CAMWS would like to hear from anyone interested in being appointed to a committee or in serving as a State/Provincial or Regional Vice-President. Please indicate, in order of preference the committee(s) on which you would be willing to serve. If you would like more information about the work of various committees, please consult the committee charters available on the committee pages. This form will be sent to the current president, the President-elect and the CAMWS office. Please feel free to provide any additional comments in this textbox.